I was working in my garden a few weekends ago when two Bengali children walked down the alley. We talked a little while and the girl, about 12 years old, asked me what country I was born in. “America’ I told her. She asked me where my parents were born. “They were born in America, too” I said. She looked shocked. “Wow! America is your homeland.” I can honestly say I never thought about it that way. I guess America is my homeland. Living in proximity with so many immigrants is a constant reminder of people who make the positive affirmative step to come here, to stay here, to try to become citizens. They seek what I already have, they aspire to what I take for granted. Considering their perspective helps me to reframe my view of this county that, for all its anti-immigration sentiment, has invited these people in. Last Sunday I canvassed as a volunteer for the Hillary Clinton campaign. My partner* was a Bengali father with refugee status who was seeking residency and volunteering for the Clinton campaign in his limited free time. With list of names and addresses, we knocked on dozens of doors all across our neighborhood. 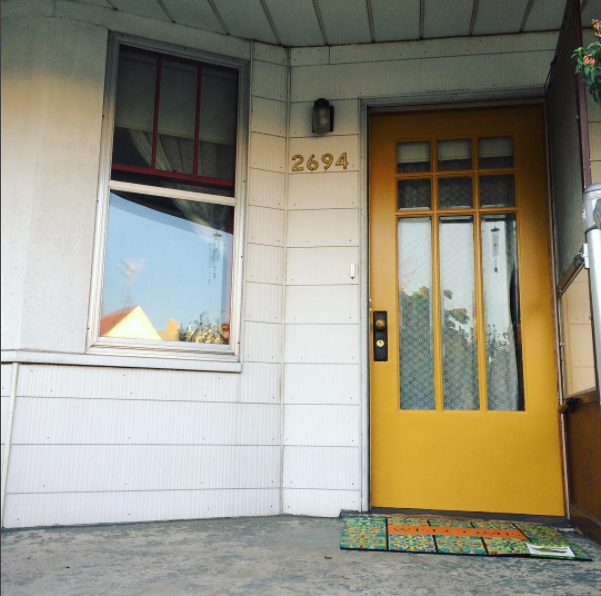 It felt incredible to say “I live just down the street” and get a glimpse into the lives and the homes that surround me. The children impressed me the most. Many bilingual children translated for their parents, passing on my message and questions about whether they knew their polling location and so on. One young girl didn’t bother asking her parents, she looked me right in the face and said “yes we are voting on Tuesday and we will be voting for Hillary Clinton.” I told her I couldn’t wait until she was old enough to vote and she got a big smile. Many of my neighbors had already voted and just as many shook their heads sadly to say that they couldn’t vote because they weren’t citizens. “I wish I could vote for her,” one man said. Every home that lacked a say at the voting booth makes it that much more important for those of us who can vote to cast our ballots with the voiceless community in mind. I don’t think it’s a stretch to say that most of the residents who can’t vote (immigrants, children, unregistered voters) would vote for Clinton if they could. I don’t think it’s a stretch to say that most of the people around the world who can’t vote in this election would vote for Clinton if they could. I don’t think it’s a stretch to say that a vote for Clinton serves the planet far better than a vote for Trump. I didn’t even want to say that last sentence…. because I don’t want to diminish an affirmation into a concession. I actually believe that a vote for Clinton is a good vote, not just a less bad one. At the polls today I arrived early. My French friend roommate tagged along to witness this showing of democracy and I was grinning hard as we walked up to the community center. As I waited in line, I hummed the tune of the song “votes for women!” from Mary Poppins. This was even more exciting than canvassing had been. Waiting in line with me were people of different ages, races and religions. The poll workers were also extremely diverse, with different accents and skin colors. I was so proud to have my foreign guest see one of the best possible representations of American democracy. I really felt like I was voting among my neighbors, that I was a part of a community. I believed that we not only shared a location but a common desire to thrive and coexist. The feeling I had when I left there was not an intellectual sort of gratification, it was a warm glow from my chest to the skin of my arms. It was pride. It was hope. It was genuine patriotism. *My cat, Alto, also joined the canvassing effort. We literally “ran into each other” on a sidewalk many blocks away from my house and he stuck with us for the next three hours as we knocked on doors. 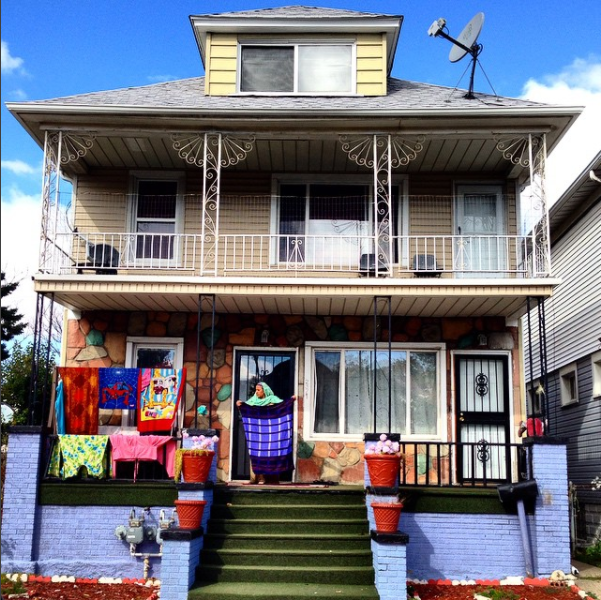 This entry was posted in Hamtramck, Personal Narrative, Politics/Social Concerns and tagged community, election, Hamtramck. Bookmark the permalink.